You can enhance your existing market position by e-commerce website which provides you an economical and more dynamic distribution ligature for their products or services. Ecommerce websites are not merely making an online store ideally, but more important is the fact that more swiftly the customer gets converted to orders, resulting more in sales and ultimately success of your business. Ecommerce Website Design quality is all about gaining capable consumers through that process. • Let your consumers filter their options: – Being able to filter the options will save a lot of time and covers quickly. • Let consumers converse their selections: – it is important that consumer has the ability to explore into a different category or a product other than what they came looking for. • Keep the search bar accessible: – When any user visits a site for a particular thing and if that thing is not clearly identified on the home page then the most common reaction is to search for that thing. • Make it clear – the items which are out of stock: – If a product or an item is not available then it has to be clearly mentioned on the site. • Photographs used should be of high resolution: – Shopping is all about looking and buying, as one can’t touch or feel the product until it’s been delivered. Having enough photos is an assured way of getting more conversions. • Add to Cart should be visible: – Users will not convince if the add to cart option is not clearly visible, therefore it is very vital that add to cart is visible at multiple locations of the site. 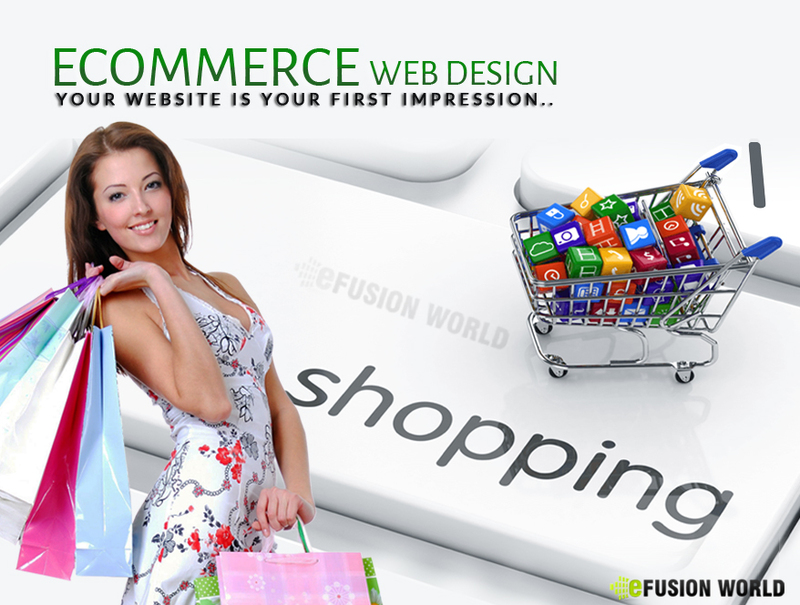 To get more information about how to build e-commerce sites which turn visitors to business visit our eFusionWorld. This entry was posted in Ecommerce Store Design and tagged Ecommerce Store Design, Online Shopping Cart Design by David Cornish. Bookmark the permalink.